Theodor Froebel (1810–93) and his son Otto (1844–1906) were two of the most significant Kunst- und Handelsgärtner (artistic and commercial gardeners) of nineteenth century Switzerland. 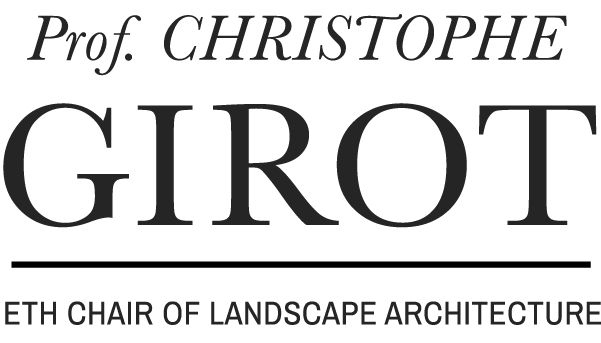 The work of these key figures paved the way for the present-day profession of landscape architecture. After having been trained in his native Thuringia, Theodor Froebel came to Zurich in 1834. There, as the first university gardener, he played an influential role in the planning and construction of the new Botanical Garden. By 1835 he had started his own business, and he left his position at the university in 1841. The rest of his professional career was determined by two complementary practices: on the one hand public and private clients engaged him for the planning and construction of parks and gardens, and on the other hand he ran his own business including a tree nursery and greenhouses. His son Otto completed his training at his father’s business, as well as at renowned firms in other European countries. 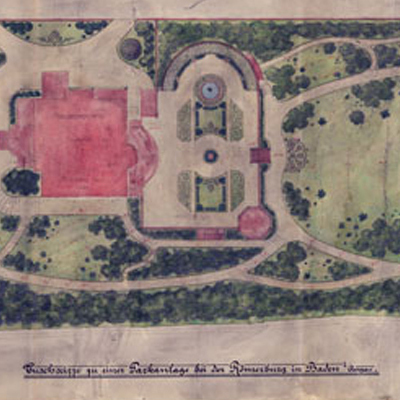 After Otto had entered into the family business in 1865 the plant collection grew, as did the number of the gardens planned and realized by the ‘gartentechnisch bureau’. By the end of the nineteenth century, the Froebel Kunst- und Handelsgärtnerei was the most important in the country, and its reputation extended beyond the Swiss border. Using the oeuvre of Theodor and Otto Froebel as an example, the present work examines the Swiss Kunstgärtnertum (artistic gardening) of the nineteenth century and advances the thesis that, especially in Switzerland, that epoch is of great significance. In comparison to that in other European countries, the garden culture in much of Switzerland draws on a relatively modest tradition upheld by the landed gentry or urban patriciate. In the nineteenth century, the majority of clients were representatives of the upwardly striving bourgeoisie. The foremost characteristic of their eclectically designed gardens was the sheer number and diversity of native and exotic plants. The considerations here centre on the planning of public parks and private gardens undertaken by Theodor and Otto Froebel. The history of the design and construction of the projects provides information about the role of these two men as garden designers. The research demonstrates that the primary focus was not the provision of creative services, but rather the ability to supply the variety of plants so valued at the time. Another focus are is the activities of the commercial nursery, which developed from a modest commercial operation to a prestigious business enterprise active in a Europe-wide network. In excursus, the present work discusses the architectural – and the accompanying societal – changes which Zurich underwent in the nineteenth century: the destruction of the walls (Schanzenfall) and the opening of the city beginning in 1830, the planning and construction of the Zurich quays around 1880, and the first extension of the city boundaries (Eingemeindung) in 1893. This expanded perspective provides a context for the creative work of Theodor and Otto Froebel and helps clarify their significance. A view is provided of the transformation of the business model, up until the end of the firm in the 1930s, in the context of the garden reform of the early twentieth century.